Kupo offset adapter for Kinoflo Diva light featuring a 5/8 baby pin at one end and a standard baby reciever on the other to fit onto a c-stand. 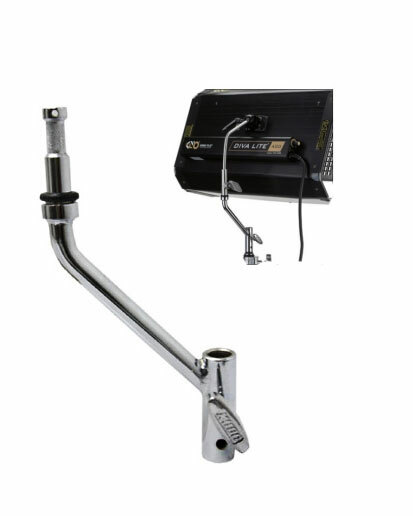 The welded steel and chrome plated off-centre adapter offers excellent balance for a small to medium fluorescent light on the centre of your light stand like the Kinoflo Diva lights. Also useful for offseting other items like monitors on Vesa mounts that end in a 5/8 mount adapter.